I’ve done headshots for ages, mostly for corporate clients, and people wanting professional online dating profile photography. It’s a fun part of the business. My main passion though has always been photographing children, so I guess it’s not a surprise that I also doing lots of headshots for kids. I’m lovin’ it, as they say. Here’s a quick roundup of some of the headshots I’ve done recently. I’ll link to the actual posts as I post them. Many of these clients found me through Instagram, which I finally started using more. If you’re on Instagram feel free to say howdy! I started photography before social media was around. It’s been terrific to have additional ways to meet new subjects and talented people looking to collaborate. The best way to reach to ask a question or book is shoot is by contacting my studio here. There are so many great kids in the NY area – being a kids headshot photographer nyc is one of my favorite parts of my job. I look forward to meeting more people! Read below for my kids headshot tips. And if you’re interested in my video Personality Reels for child actors and models, please click here. Getting Started in Child Modeling or Acting? Over the past few years I have put together some interviews, tips, and other resources for parents who have questions about getting their child started in modeling or acting. Click on Getting Started in Child Modeling and Acting to read it all. To see more of Keeike (above) please click here. To see more of Madison’s shoot, click here. To see more of Vanessa’s shoot click here. To see move of Izzy’s shoot (above) click here. To see more of Jonah (above) click here. To see Anais and Mirabelle’s (above) video Personality Reel, click here. For more images from Amanda’s shoot (above) click here. To see Anais and Mirabelle Lee’s shoot click here. To see more of Sofia’s NYC kids headshots, click here. This was her first ever professional shoot – she did a great job! Her shoot is a great example of how newcomers to the business can start building a strong portfolio in just one shoot. To see more of Skylar’s shoot (above) click here. To see Emma and Lina’s midtown Manhattan post click here. To see Julia’s Times Square child portrait shoot click here. Dance headshot of beautiful Brielle. To see her dance shoot in Times Square, click here. More of Madison’s Upper East Side child photography shoot here. For more of Damaris’ shoot (above) click here. For more classic black and white studio images (below) click here. A test shoot for Jade and Jaylin, pictured above. They were so much fun, and such great friends. Here’s a shoot I did of them that was featured on CBS news. Kalia, who was full of laughs, and fun poses. Kaylee, a talented gymnast and dancer. Gorgeous Kat. I photographed her and her handsome brother Elias, below. For a more “woodsy” setting, check out Jocelyn, from her Boston child photography shoot last spring. And here’s Kinneal, another example of Boston child portrait photography. Kayla who is such a doll, and a talented gymnast to boot. I want you and your child to feel confident, relaxed, and prepared going into your headshot shoot. Kids headshots are a lot of fun, and a little prep goes a long way. Here are some answers to frequently asked questions, but please contact me if there’s anything else you’d like to know. I’m also happy to chat on the phone before the shoot. Food and Rest – make sure your child is well-fed, well-hydrated, and well-rested before the shoot. Avoid too much candy/soda/sugar before the shoot. Time of Day – schedule the shoot at a time of day your child is at her best (e.g. NOT nap time). If your child is old enough, tell him he is getting professional photos taken, that it’s going to be fun, and he has to do some good listening. Hire a photographer who has experience working with children – this is so important! Photographing children is very different than photographing adults! You want your child to have a fun experience, make sure you hire someone patient, who can work effectively with young ones. This is particularly important if your child is shy, “exuberant” (hyper), or if this is your child’s first professional shoot. Bring a few different outfits – I will send you some clothing guidelines before the shoot, but feel free to bring options. Don’t feel shy about bringing a bunch of things! We can do a variety of looks, but make sure you have some simple clothing: the focus should be on your child, not the clothing. Save the best outfits for the second or third look. Some kids require a little time in front of the camera to warm up. Hair and makeup – Your child should look like, well, herself! I offer hair and makeup for child headshots, but we keep it natural and just add a little “polish” to your child’s natural look. Casting directors say they like my headshots because the child who walks into the casting is going to look like the child in the headshot they’ve already seen. General notes: Hair should be neat. A blowout (for long hair) is fun, but certainly not required. For long hair, I like to do some with hair up and some with hair down. No heavy makeup please! I will prep your child’s skin a little before the shoot. Join my child model newsletter to stay in the know about castings, model calls, tips, specials, travel dates, etc. Join the Newsletter and you’ll receive my What To Wear for Child Headshots Guide. Want headshots for your child? I’ll send you tips on how to prepare for your shoot, and what to wear. Contact me here and let’s get planning! Want to know what it’s like to work with me? Read my photographer reviews. Daisy Beatty is a child portrait photographer based in NYC and the Hamptons. 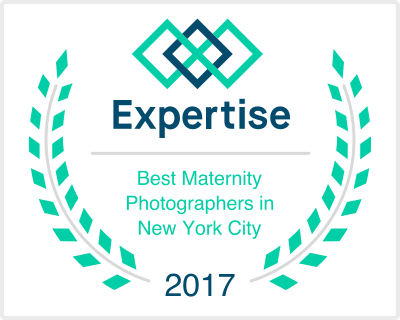 She specializes in vibrant images of children, maternity, and families, and dancers, as well as headshots and portfolio shoots for clothing labels and performers. Child headshot photographer NYC Daisy Beatty is known for her eye-catching kids head shots nyc – portraits that make a bold, beautiful statement. She is based in Manhattan and East Hampton NY, and proudly serves Brooklyn, Queens, the Bronx, Staten Island, Hoboken, Westchester NY, Greenwich CT, the Hamptons, and Boston MA. For more information, please contact the studio via the form below or visit her website.